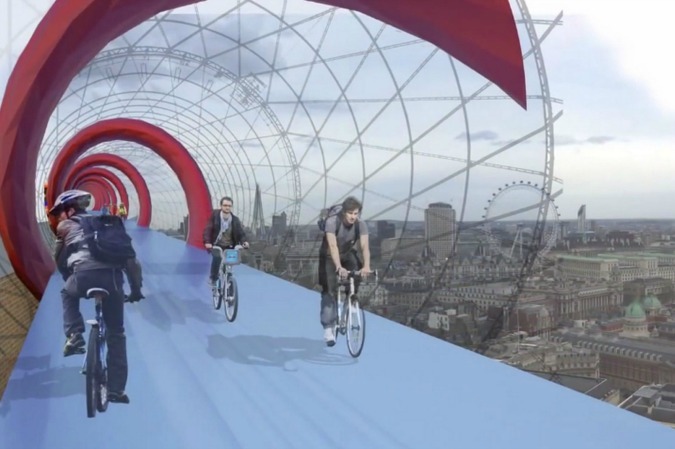 British architect Norman Foster has unveiled a concept to build a network of elevated pathways above London’s railways to create safe car-free cycling routes, following 14 cyclist deaths on the city’s streets in 2013. 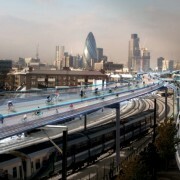 Entitled SkyCycle, the proposal by architects Foster + Partners, landscape architects Exterior Architecture and transport consultant Space Syntax is for a “cycling utopia” of approximately 220 kilometres of dedicated cycle lanes, following the routes of existing train lines. If approved, the routes could be in place within 20 years, offering relief to a transport network that is already at capacity and will need to contend with 12 percent population growth over the next decade. According to the designers, construction of elevated decks would be considerably cheaper than building new roads and tunnels. 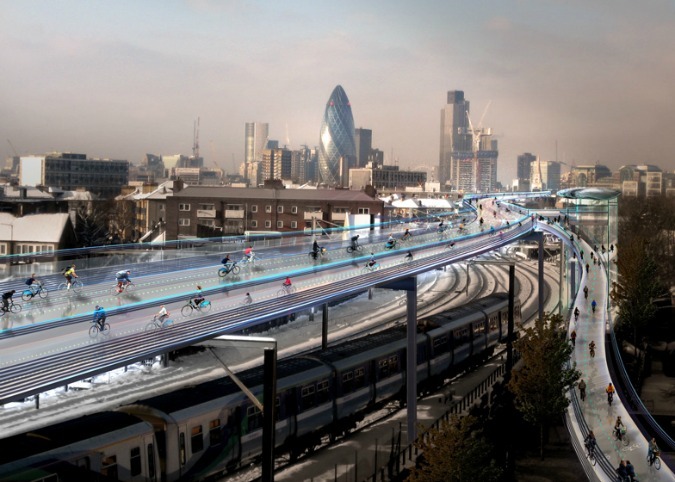 The routes would offer greater health benefits for London residents and would make more efficient use of space, as more car owners could be encouraged to cycle rather than drive to work. (source).